Most people are probably not aware of how dependent they may be on modern conveniences, like common toilet paper. The cost of this product is not exactly inexpensive right now and who knows what it might be when SHTF. This means you will need to have some alternatives to toilet paper. Some of the best alternatives to toilet paper are not all that surprising. 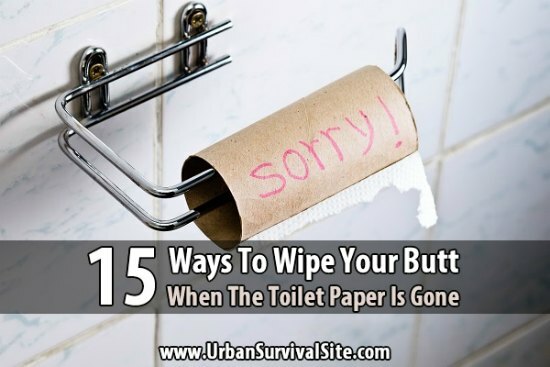 You can easily use tissues or any paper towel that is on hand. However, these items are also useful when you need to make a fire to cook food or for heat. If you are camping or in a survival situation, leaves are the best alternatives to toilet paper. All that you need to do is know which leaves you can use when toilet paper is needed. Luckily, maple leaves are an ideal choice if any maple trees are in your area. Just gather some leaves if you are collecting sap.